This was taken on a dinner cruise we did with the Zidek family in June 2012. We really enjoy hosting people in our flat. We have hosted new teachers, missionaries, college students, couples,and families who come from a variety of countries such as the U.S., Hungary, France, Spain, Italy, the U.K., and Argentina. We have many more guests scheduled for the upcoming year. 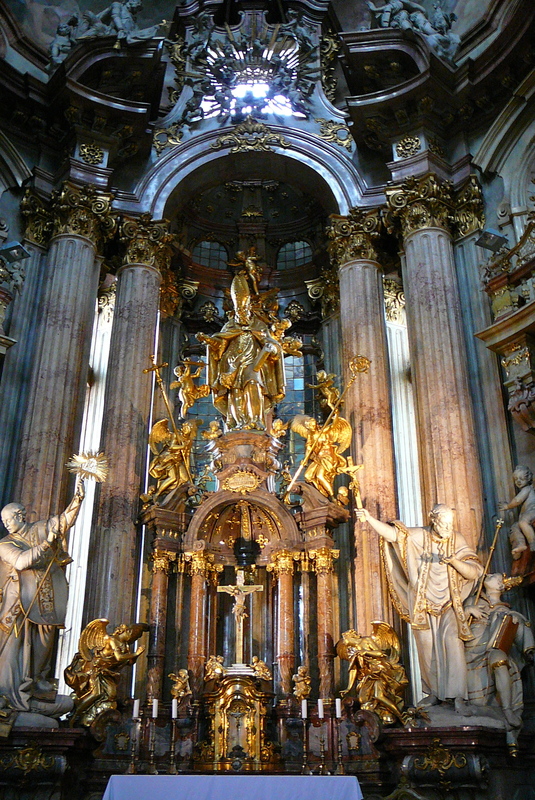 So this post will be the first of a series, especially for our future guests…our top pics of what to see in Prague, along with some insider tips for transportation, food and entertainment. 1. 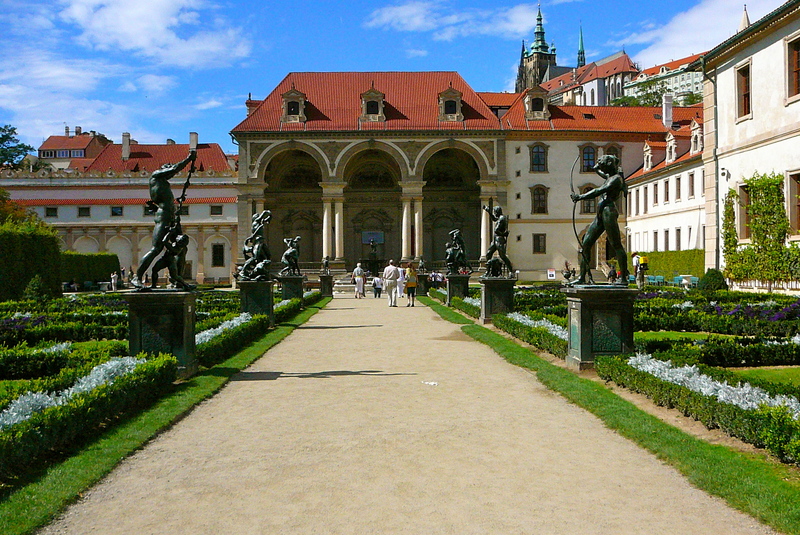 Prague Castle and Gardens. 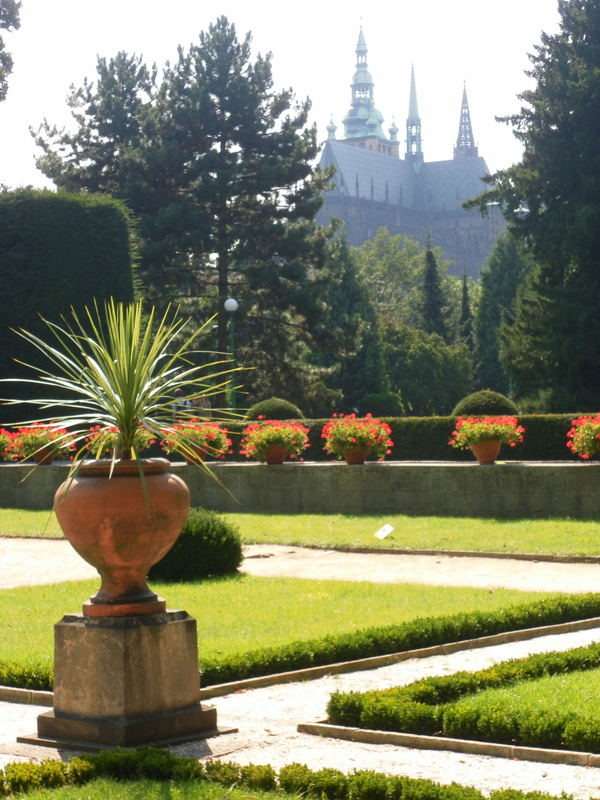 The best way to get to Prague Castle is to start at the Castle Gardens. 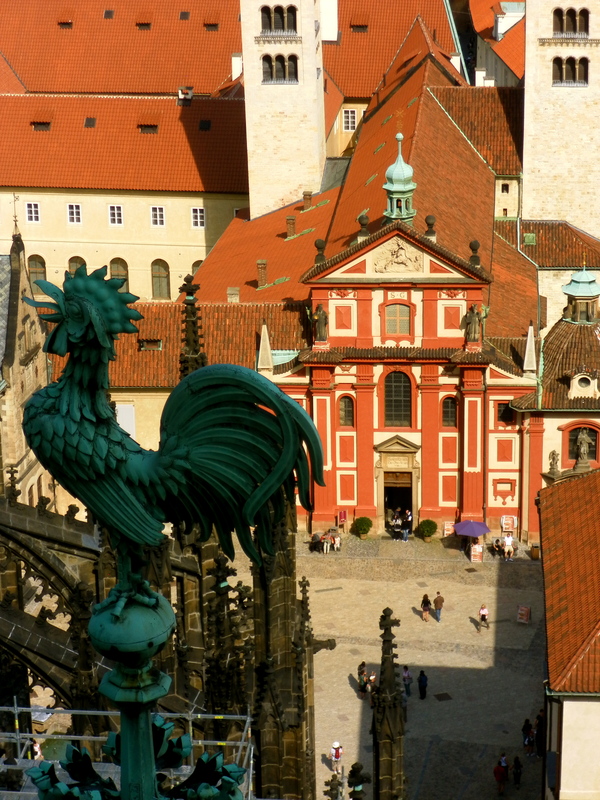 You can walk there from the Hradcanska Metro/Tram stop, or take tram #22 to Kralovsky Letohradek for the gardens, or to Prasky Hrad to go straight to the castle. If you go this way, you will walk straight in…..instead of walking up a million steps coming from the other side. Note: the gardens are closed in the winter. The gardens are the perfect place for a picnic. 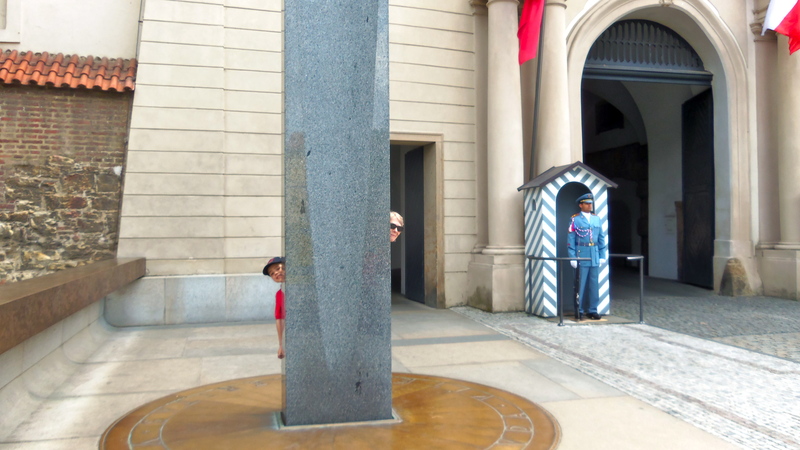 You will end up at the gates of Prague Castle. Be sure to see the changing of the guard, on the hour, every hour until 8pm in the summer or 6pm in the winter. The short tour, which includes Golden Lane, is sufficient in my opinion. 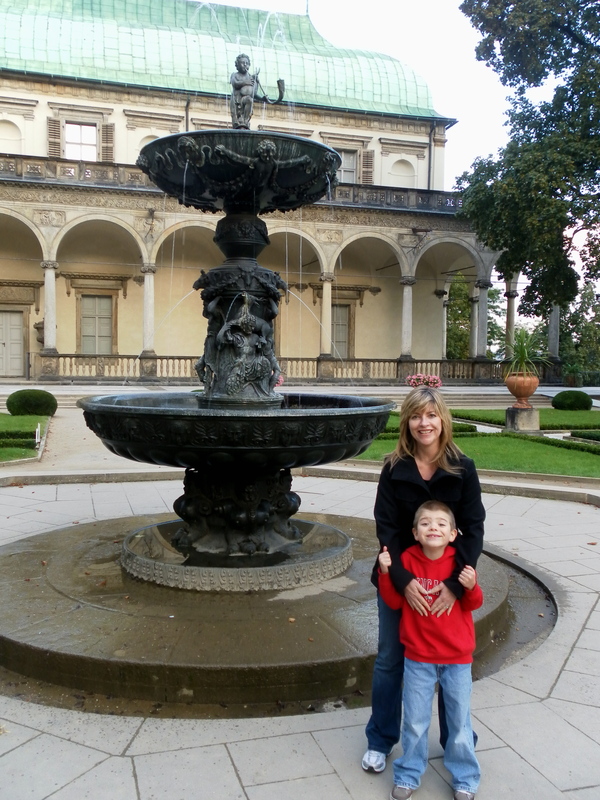 Nikolas and Grandma being goofy! 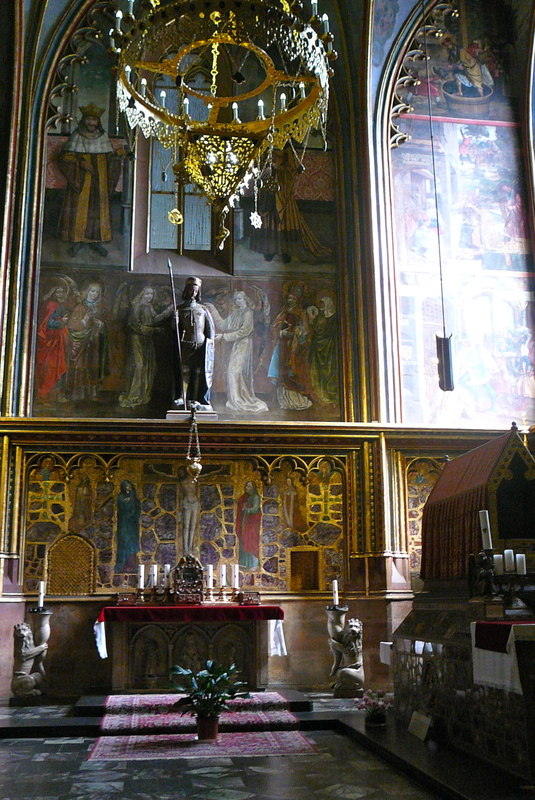 St. Vitus Cathedral is stunning! The entry fee is worth it. 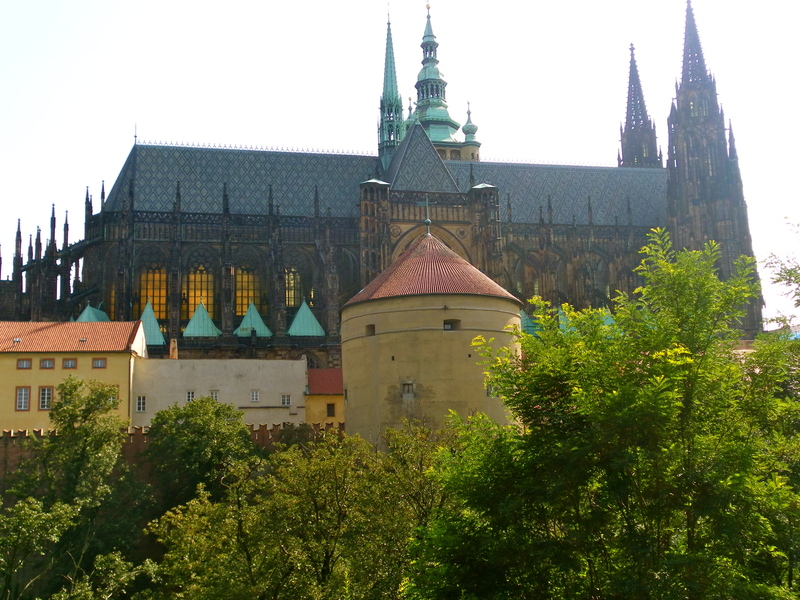 Don’t forget to come back here at night and enjoy Prague Castle by night. 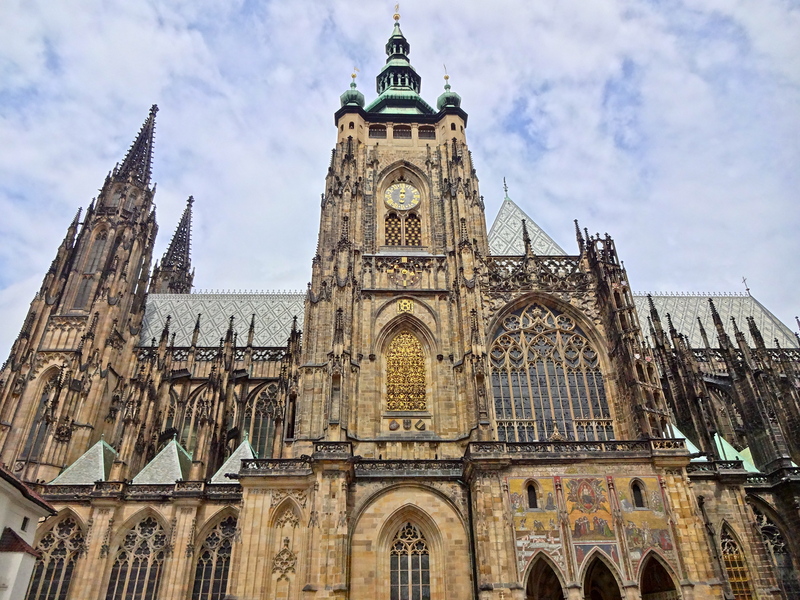 The outside of St. Vitus Cathedral. Construction was begun in 1344! Climb the tower to get this pic! The view from the castle walls. 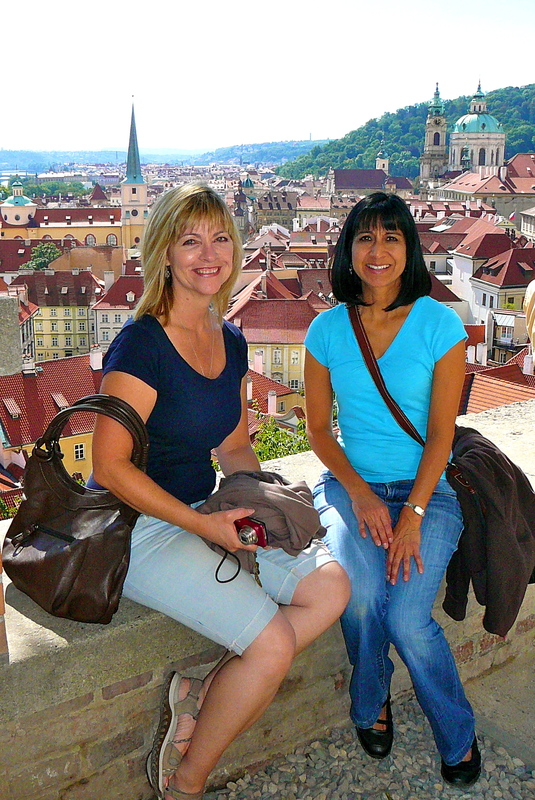 Once you have taken your dozens of photos at the castle walls, walk down the hill to Malostranska. Go right at the bottom. Walk through the small gate on the left of the metro station to stroll through the Wallenstein Gardens (spring and summer only). Exit out the gate on the left to Malostranska Namesti. Alternatively, take a tram to…. 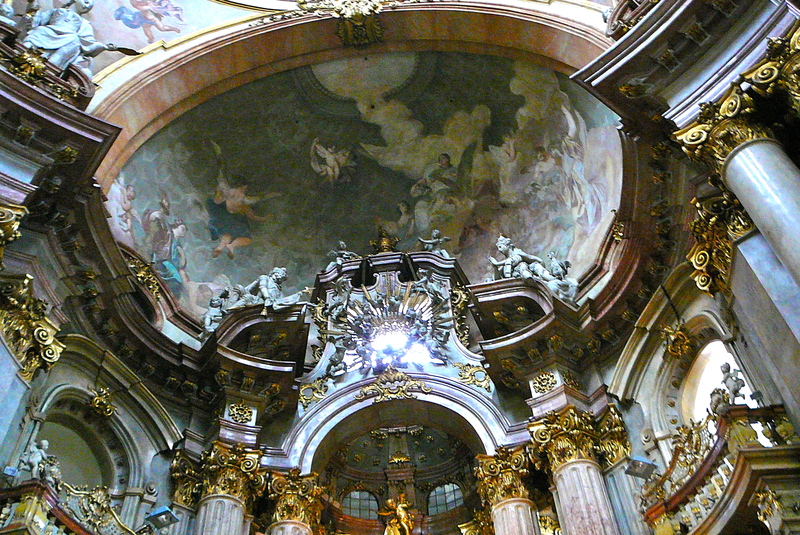 Mozart played the organs here in 1787! 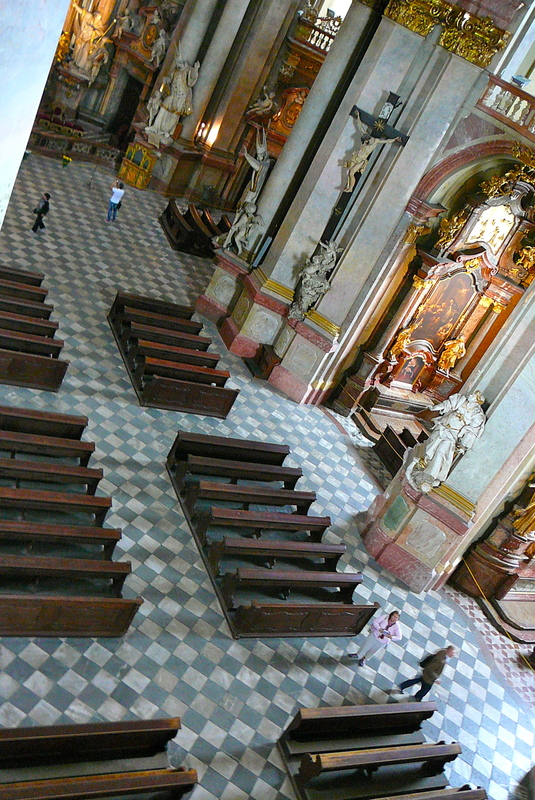 This is a beautiful location for a classical concert. Are you hungry yet? Try Malostranska Beseda Restaurace, just across the street from the Malostranska Namesti tram stop. Or try the kebab shop to the right of it. Prices are reasonable! 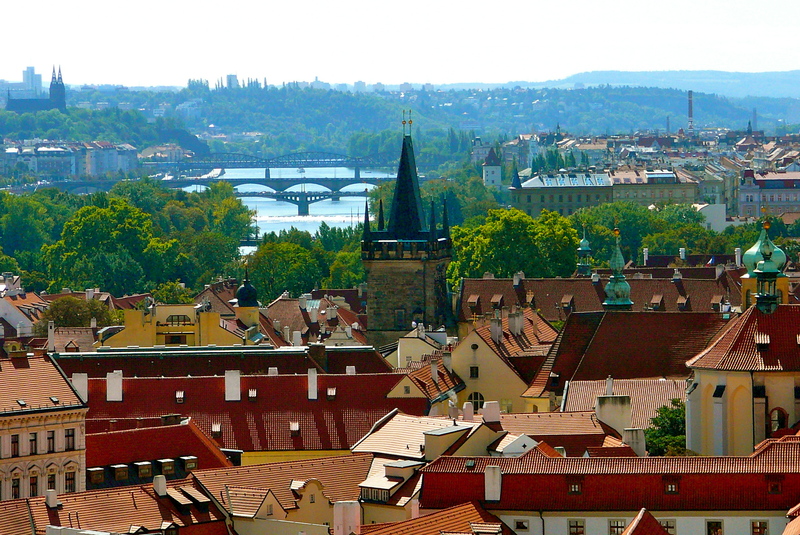 Tell us about your favorite places in Prague!